The activity at NBAA is the best it’s been in years, as shown by numerous announcements from companies in all areas of business aviation. While it officially kicked off on Tuesday morning, the National Business Aviation Association tradeshow in Orlando, Florida (Oct 14-16) has been spinning up big news for the past few days, with announcements that run the gamut from one of the biggest biggest bizav orders ever to the introduction of a really fast King Air upgrade kit. Supersonic Coming Soon: Or so says Aerion, which announced a first flight date of 2023 for its slowly emerging supersonic bizjet. If the ambitious project does indeed fly, the plane will be powered by a GE Affinity Engine, which the planemaker says is the first supersonic engine for civil flight in 55 years. It’s also working with Honeywell on the flight deck. Speaking of Honeywell: The aerospace giant Honeywell released the results of its latest forecast for the future of the business aviation market and it’s bullish, with predictions of sales of 7,700 turbine aircraft over the next ten years, a market valued at better than $250 billion dollars. Cabin size inequality is forecast to rule the coming decade, with 62 percent of aircraft purchased (by number) over the period predicted to be large-cabin models, a figure that represents 87 percent of the market value, as compared to just six percent of total value predicted for small cabin jets. New Garmin Retrofit Options: Garmin launched retrofit programs for a few new jet models with its G700 TXi touchscreen flat-panel avionics systems. The company will work with partner JETTECH on the program to put the systems into the Citation 500, 550, and 560 platforms, bringing operators of those legacy planes a great upgrade option to keep their planes flying. 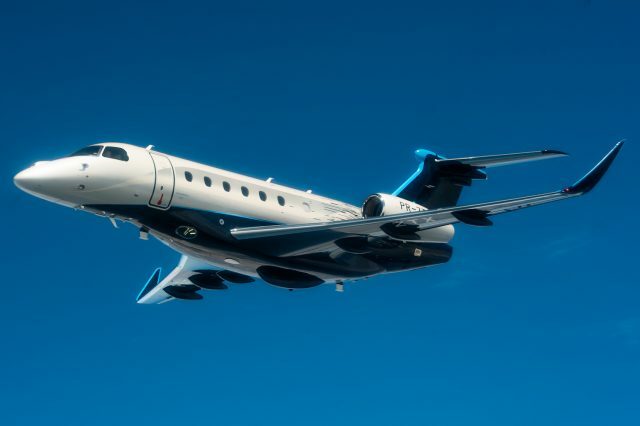 New Brazilian Planes: Embraer made a big splash at NBAA with the launch of its Praetor 500 Mach .83, 3250 nm range and $17 million) and the Praetor 600 (Mach .83, 3900 nm and $20.1 million). The new models are midsize and super-midsize business jets, respectively, both of which are derived from the company’s Legacy 450/500 business jets and both of which feature fly-by-wire flight control. Blackhawk Making Waves: Waco, Texas-based Blackhawk announce that it is formally starting the certification flight test program on its Pratt & Whitney XP67A engine upgrade for the Beech King Air 300. While sporting the same power figures as the engines they will replace, the XP67A models will shine at higher altitudes, giving the Blackhawk-upgraded King Air a level of performance more typically found on light jets. Company president and CEO Jim Allmon says the new model be as fast as 350 knots. HondaJet Updgrades: HondaJet announced an upgrade to its HondaJet HF420 called the Advanced Performance Modification Group (APMG) that will cut takeoff distance, increase maximum weight, add upgrades to the G3000 avionics suite (including takeoff and landing number calculations and improved connectivity) and more. The upgrade can be done to existing HondaJets, too. Colossal Order: Textron Aviation and NetJets announced the fractional provider has placed a colossal order for Cessna’s emerging jets, the Longitude and Hemisphere. NetJets has agreed to purchase as many as 175 super-midsize Cessna Citation Longitude jets and up to 150 Cessna Citation Hemisphere wide-body aircraft, a deal valued at about $10 billion, based on the retail price of the aircraft. It was also announced that NetJets will be the launch customer for the Hemisphere.